Sending tons of emails to certain email domains can be tricky, even if your sending IP address reputation is good. 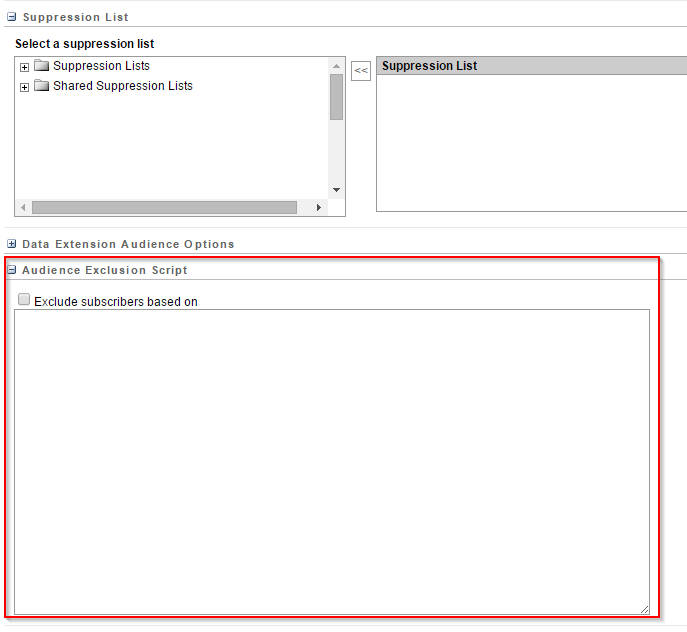 In Salesforce Marketing Cloud, you can utilize an Audience Exclusion Script to isolate domains for special sending treatment — like throttling or sending at a certain time of day. Here’s an example that utilizes the AMPScript domain() function and the emailaddr personalization string that’s present in every send context. Email #2 would be configured with some throttling or be deployed only at a certain time of day. This solution will work for sends to Lists, Groups or Data Extensions. If Exclusion Scripts are not enabled for your User-Initiated or Triggered Send Definitions, SFMC support can enable them for you.